We are committed to safeguarding the privacy of TSTMKRS Africa visitors and service users. This policy applies where we are acting as a data controller with respect to the personal data of TSTMKRS Africa visitors and service users; in other words, where we determine the purposes and means of the processing of that personal data. Our website incorporates privacy controls which affect how we will process your personal data. By using the privacy controls, you can [specify whether you would like to receive direct marketing communications and limit the publication of your information]. You can access the privacy controls via TSTMKRS user settings. 2.1 This document was created using a template from SEQ Legal link. You must retain the above credit. Use of this document without the credit is an infringement of copyright. However, you can purchase from us an equivalent document that does not include the credit. 3.2We may process data about your use of our website and services ("usage data"). The usage data may include your IP address, geographical location, browser type and version, operating system, referral source, length of visit, page views and website navigation paths, as well as information about the timing, frequency and pattern of your service use. The source of the usage data is our analytics tracking system. This usage data may be processed for the purposes of analysing the use of the website and services. The legal basis for this processing is our legitimate interests, namely monitoring and improving our website and services. 3.3We may process your account data ("account data"). The account data may include your name and email address. The source of the account data is you or your employer. The account data may be processed for the purposes of operating our website, providing our services, ensuring the security of our website and services, maintaining back-ups of our databases and communicating with you. The legal basis for this processing is our legitimate interests, namely the proper administration of our website and business. 3.4We may process your information included in your personal profile on our website ("profile data"). The profile data may include your name, address, telephone number, email address, profile pictures, gender, interests and hobbies. The profile data may be processed for the purposes of enabling and monitoring your use of our website and services. The legal basis for this processing is our legitimate interests, namely the proper administration of our website and business. 3.5 We may process your personal data that are provided in the course of the use of our services ("service data"). The source of the service data is you. The service data may be processed for the purposes of operating our website, providing our services, ensuring the security of our website and services, maintaining back-ups of our databases and communicating with you. The legal basis for this processing is our legitimate interests, namely [the proper administration of our website and. 3.6We may process information that you post for publication on our website or through our services ("publication data"). The publication data may be processed [for the purposes of enabling such publication and administering our website and services]. The legal basis for this processing is our legitimate interests, namely [the proper administration of our website and business. 3.7We may process information contained in any enquiry you submit to us regarding goods and/or services ("enquiry data"). The enquiry data may be processed for the purposes of offering, marketing and selling relevant goods and/or services to you. The legal basis for this processing is consent. 3.8We may process information relating to our customer relationships, including customer contact information ("customer relationship data"). The customer relationship data may include your name, your employer, your job title or role, your contact details, and information contained in communications between us and you or your employer. The source of the customer relationship data is you or your employer. The customer relationship data may be processed for the purposes of managing our relationships with customers, communicating with customers, keeping records of those communications and promoting our products and services to customers]. The legal basis for this processing is our legitimate interests, namely the proper management of our customer relationships. 3.9We may process information relating to transactions, including purchases of goods and services, that you enter into with us and/or through our website ("transaction data"). The transaction data may include [your contact details, your card details and the transaction details. The transaction data may be processed for the purpose of supplying the purchased goods and services and keeping proper records of those transactions. The legal basis for this processing is [the performance of a contract between you and us and/or taking steps, at your request, to enter into such a contract and our legitimate interests, namely the proper administration of our website and business. We do not store credit card information on our site, but use Flutterwave as our payment gateway. 3.10We may process information that you provide to us for the purpose of subscribing to our email notifications and/or newsletters ("notification data"). The notification data may be processed for the purposes of sending you the relevant notifications and/or newsletters. The legal basis for this processing is [consent] OR [the performance of a contract between you and us and/or taking steps, at your request, to enter into such a contract. 3.11We may process information contained in or relating to any communication that you send to us ("correspondence data"). The correspondence data may include the communication content and metadata associated with the communication. Our website will generate the metadata associated with communications made using the website contact forms. The correspondence data may be processed for the purposes of communicating with you and record-keeping. The legal basis for this processing is [our legitimate interests, namely the proper administration of our website and business and communications with users. 3.12We may process any of your personal data identified in this policy where necessary for the establishment, exercise or defence of legal claims, whether in court proceedings or in an administrative or out-of-court procedure. The legal basis for this processing is our legitimate interests, namely the protection and assertion of our legal rights, your legal rights and the legal rights of others. 3.13We may process any of your personal data identified in this policy where necessary for the purposes of obtaining or maintaining insurance coverage, managing risks, or obtaining professional advice. The legal basis for this processing is our legitimate interests, namely the proper protection of our business against risks. 3.14In addition to the specific purposes for which we may process your personal data set out in this Section 3, we may also process any of your personal data where such processing is necessary for compliance with a legal obligation to which we are subject. 3.15Please do not supply any other person's personal data to us, unless we prompt you to do so. 4.5In addition to the specific disclosures of personal data set out in this Section 4, we may disclose your personal data where such disclosure is necessary for compliance with a legal obligation to which we are subject, or in order to protect your vital interests or the vital interests of another natural person. We may also disclose your personal data where such disclosure is necessary for the establishment, exercise or defence of legal claims, whether in court proceedings or in an administrative or out-of-court procedure. 5.2We and our other group companies have offices and facilities in Africa. The European Commission has made an "adequacy decision" with respect to [the data protection laws of each of these countries. Transfers to each of these countries will be protected by appropriate safeguards, namely the use of standard data protection clauses adopted or approved by the European Commission. 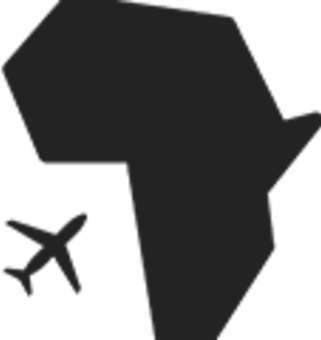 5.3The hosting facilities for our website are situated in Africa. The European Commission has made an "adequacy decision" with respect to the data protection laws of each of these countries. Transfers to each of these countries will be protected by appropriate safeguards, namely the use of standard data protection clauses adopted or approved by the European Commission. 5.4You acknowledge that personal data that you submit for publication through our website or services may be available, via the internet, around the world. We cannot prevent the use (or misuse) of such personal data by others. 6.3Notwithstanding the other provisions of this Section 6, we may retain your personal data where such retention is necessary for compliance with a legal obligation to which we are subject, or in order to protect your vital interests or the vital interests of another natural person. 7.3 We will notify you of any significant changes to this policy [by email or through the private messaging system on our website. 8.3You have the right to confirmation as to whether or not we process your personal data and, where we do, access to the personal data, together with certain additional information. That additional information includes details of the purposes of the processing, the categories of personal data concerned and the recipients of the personal data. Providing the rights and freedoms of others are not affected, we will supply to you a copy of your personal data. The first copy will be provided free of charge, but additional copies may be subject to a reasonable fee. You can access your personal data by visiting https://www.tastemakersafrica.com when logged into our website. (b)that the processing is necessary for the performance of a contract to which you are party or in order to take steps at your request prior to entering into a contract, and such processing is carried out by automated means, you have the right to receive your personal data from us in a structured, commonly used and machine-readable format. However, this right does not apply where it would adversely affect the rights and freedoms of others. 8.13You may exercise any of your rights in relation to your personal data by written notice to us in addition to the other methods specified in this Section 8.